Albums are the perfect way to not only tell your wedding story, but also give your images life off of your computer. 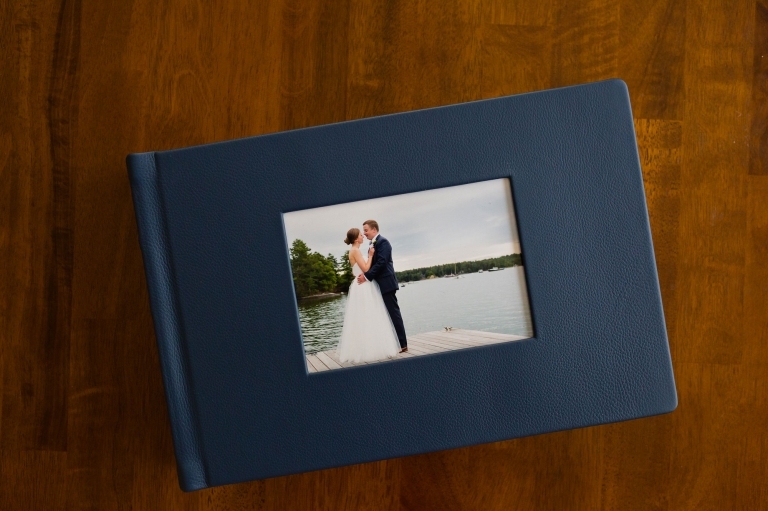 I offer two different wedding album styles to compliment your tastes- either the Acadia or the Kennebunkport album are likely to tickle your fancy. If you’re looking for an album that’s classic with a bit of a modern edge, the Kennebunkport album will be right up your alley. 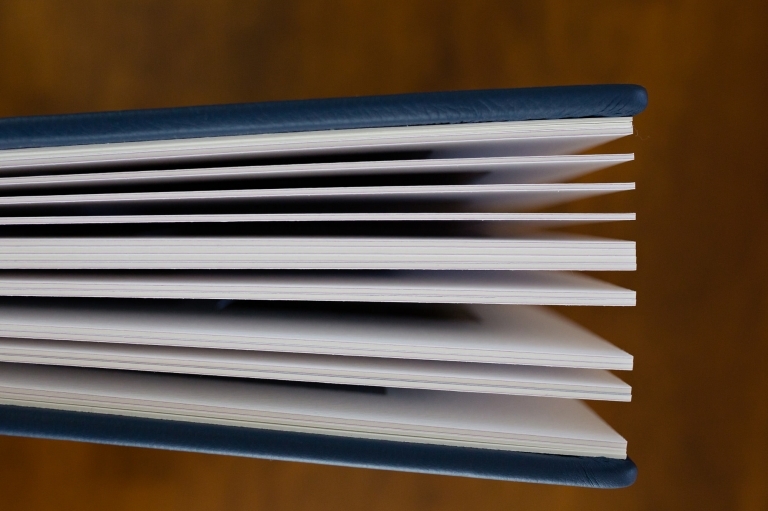 By mixing flush mount pages with matted pages, the Kennebunkport album has a unique layout that is a beauty to behold, elevating the album to fine art. Make sure to look specifically at the image of the spread featuring the bride on the bed to see the full effect of the flush mount page on the left, and the matted page on the right. 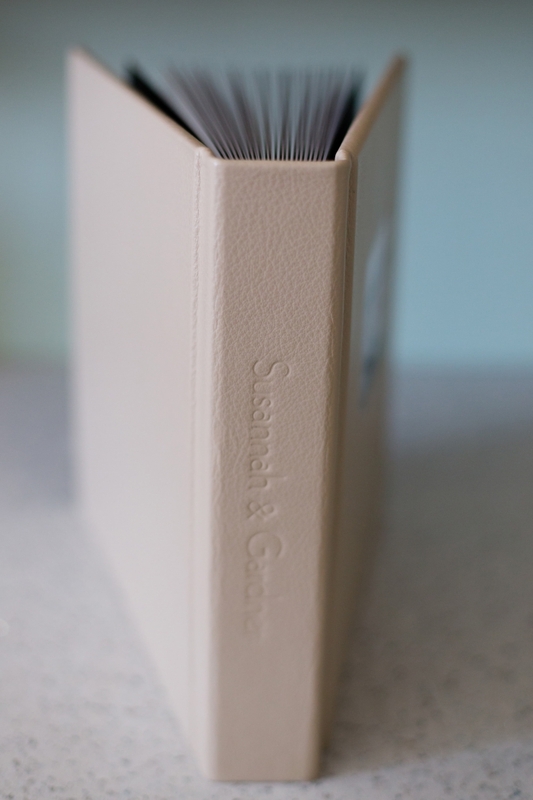 The album features thick, substantial pages that lay flat, beautifully rendered prints, and a wide variety of cover options in a variety of colors, ranging from leathers, linens, and faux leathers. 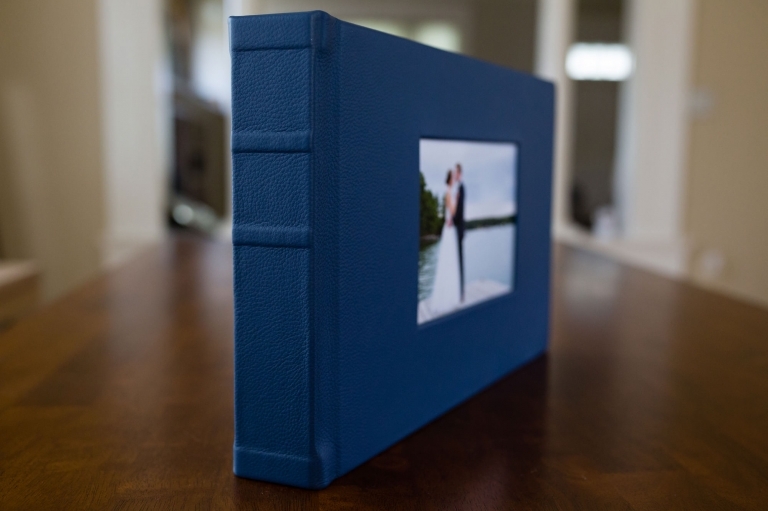 Placing an inset photo on the cover is another opportunity for customization, allowing you to make the Kennebunkport album your own. 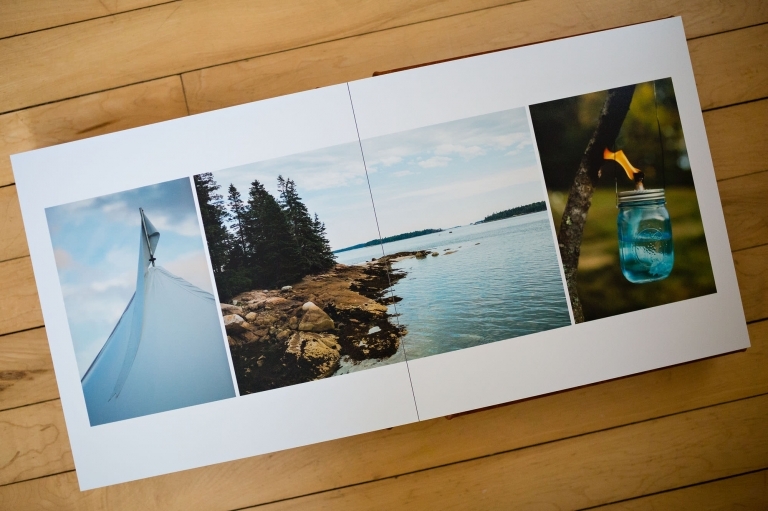 The Kennebunkport album is available in one size- 10″ x 15″- and starts with 10 spreads/20 pages (although additional spreads may be purchased if you can’t narrow down your favorites). The Acadia album is a modern lay flat flush mount album that makes your wedding come to life in the palms of your hands. It is 10″ x 10″ and starts with 10 spreads (20 pages), making this album substantial and providing just enough space for your favorite photos to shine. Additional spreads may be purchased if you have too many favorites. Everything about this album feels satisfying. From the high quality cover options (a variety of leathers, linens, and faux leathers), to the thick pages that lie flat in the album, to the high quality, beautifully rendered prints, this is an album you want to hold and return to time and time again. There’s a variety of customization options for this album. 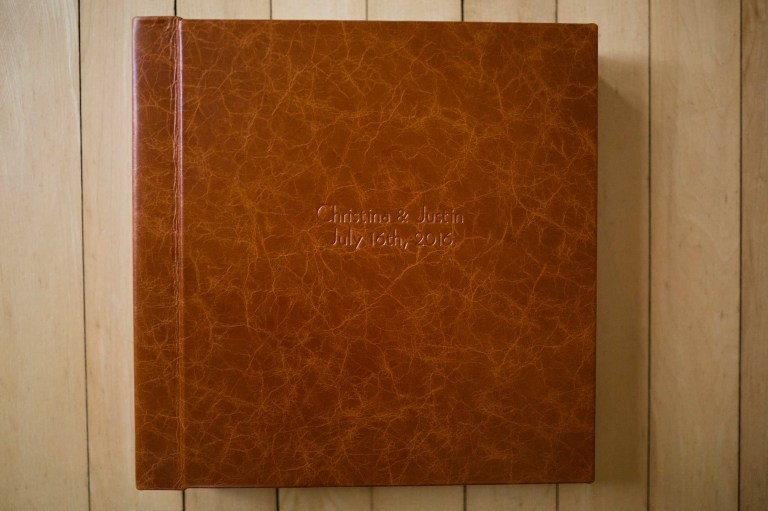 Beyond choosing the cover color and material, you’ll also have the option to add engraved text on the spine or the cover, and add an inset photo to the cover. 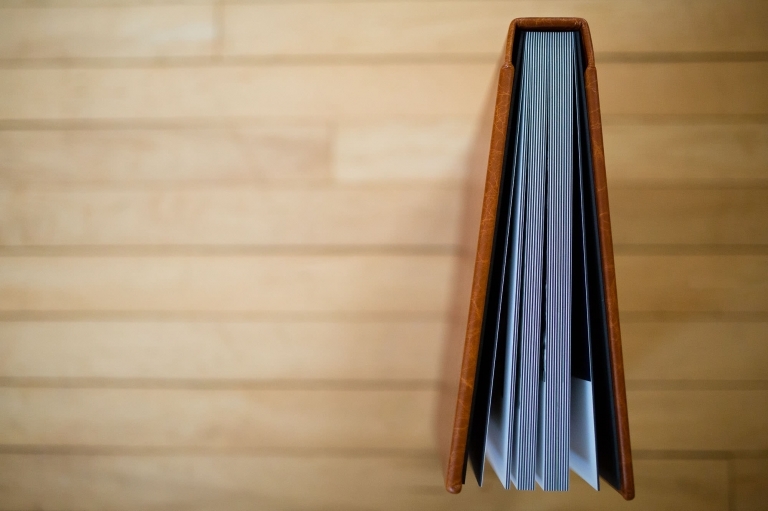 All Acadia albums come within a sturdy black leather box for easy storage.